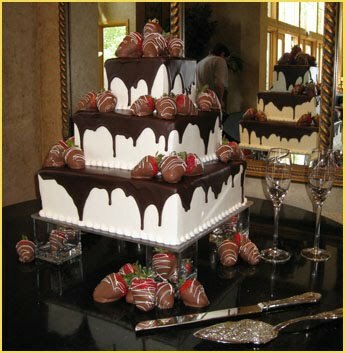 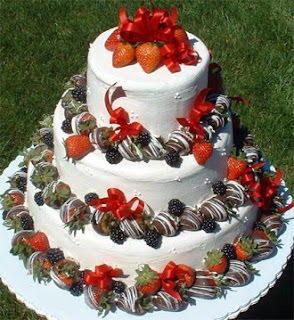 A wedding cakes picture gallery consisting of a variety of different wedding cakes with the same white wedding cake with chocolate and strawberries theme. Gorgeous four tier round white wedding cake with cascading white chocolate covered strawberries. Round cake with three tiers and chocolate covered strawberries creating a ring around the base of each tier. 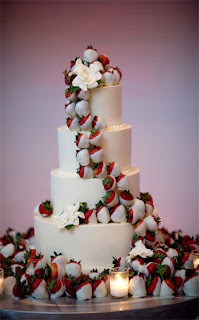 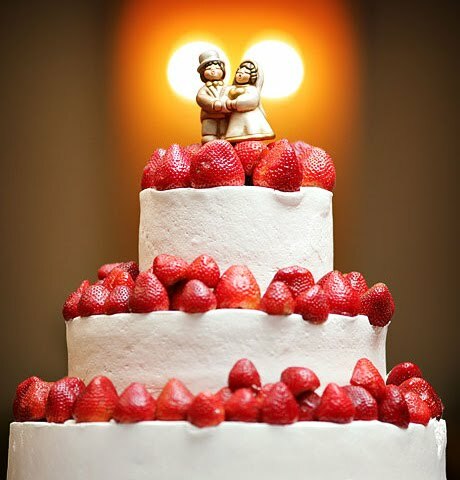 Pure traditional white three tier cake with bright red strawberries. 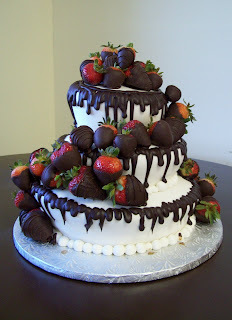 Three tier white wedding cake with chocolate covered strawberries and drooling dark chocolate. Three tier square white wedding cake with dark chocolate and milk chocolate covered strawberries. 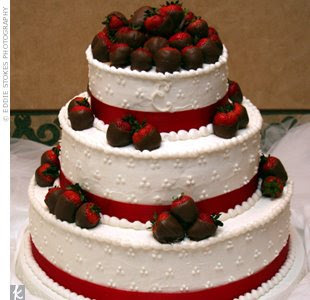 Three tier white wedding cake with swiss dots and chocolate strawberries. 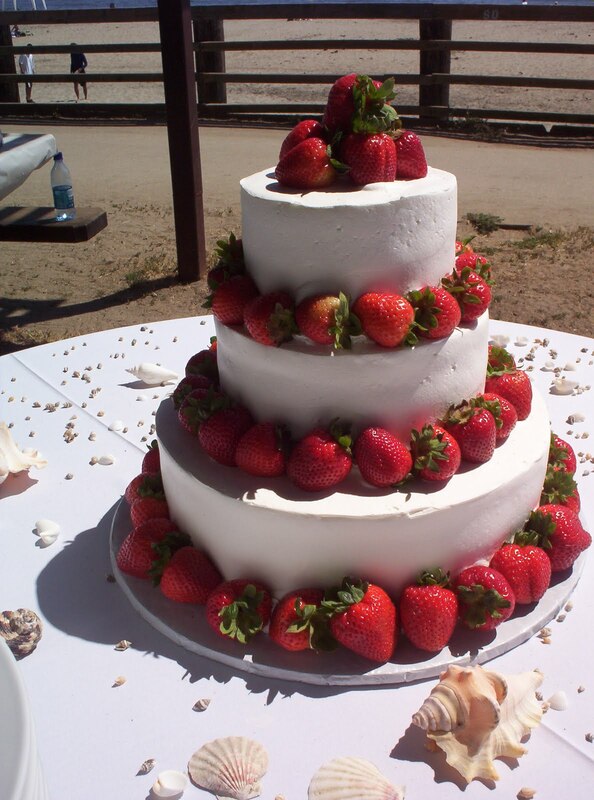 Three tier white wedding cake with a ring of fresh strawberries around the base of each tier.